my secret keeping skills impressed me. & we're as excited as could be. The Lord told us to be fruitful & multiply, and when He speaks ya know we follow suit. We were very surprised with a positive pregnancy test in mid December. Shock and panic and a loud adrenaline induced throbbing throughout my entire body lasted all of about 3 hours until peace and excitement settled in. My thoughts went from, "We'll need a bigger table. We'll need a bigger vehicle. We'll need a bigger budget." to: "I did it twice, He wants me to do it again." to: "There's gonna be a whole lot of blessed chaos around here." to: "I'm going to be a mommy X 3!" and a lot of Oh my God! 's in between all of that. I want to remember Philip's face forever when I told him after work that day. The huge, genuine smile swept instantly across his face and it was the brightest in his eyes. Any doubt or worry of our ability to handle it was instantly erased as he grabbed me and hugged me. I love, and I do mean love an unexpected, impromptu, genuine Philip smile. 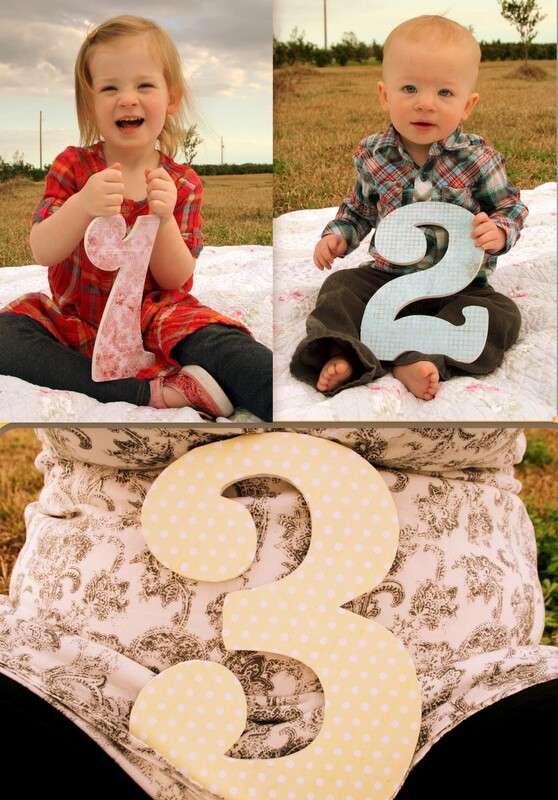 We are now accepting and asking for abundant prayer for a healthy pregnancy and baby number three. God is so good to us, and we are so very grateful for our babies. 1, 2, and 3 due on or around September 2nd. I will find out Thursday with another ultrasound if my due date has changed any. We weren't exactly positive on the due date or how far along I am because I hadn't been tracking my cycles, and they were kind of wonky anyway. After Gideon was about 2 weeks old Philip started talking about wanting more kids. My attitude about that then was a cross between I could punch you in the face to get away from me to how incredibly sweet! He's been talking about it ever since, but to be honest pregnancy terrifies me, and I was thinking if we would add on a third maybe we could do it in a couple of years or so. God had different plans though, and I'm okay with that. Ever since we found out we were pregnant we've been praying desperately for deliverance from hyperemisis that I refuse to claim this pregnancy. Thank you to our good friends who were passionately praying right aside us for my health and strength. I am almost 9 weeks and although I am sick, I am physically much stronger than I was at this point in my previous pregnancies. If I were to compare this pregnancy to my others, the next 6 weeks may be my hardest, but my other two babies have birthdays next month and with that comes a birthday party, so I am just going to believe that we'll be able to pull that off and that we can concentrate on Adeline and Gideon turning 3 and 1 in just a few short weeks. I am planning on this being my last pregnancy. although I said that for Gideon. I'm thinking our home will be happily filled with 3 little Kebodeauxs, 2 big ones, and a Labradoodle. So, uh...God if you've got different plans, can I request an early heads up? We are expanding quickly around here. I will have 3.... 3 and under. I couldn't be more excited for y'all! I will definitely keep you in our prayers and hope everything is just gravy for you! I can't wait to start our little family but in the mean time watching your's grow is just a blessing. Thanks so much sandi! You always say such kind things! Such exciting news! Will be praying for a healthy pregnancy for you! I do appreciate that Melanie! Thank you! CONGRATS!!! I just saw this post! How sweet! :) I'll be praying for a healthy and happy pregnancy for you!